As cryptocurrency is gradually becoming a global household name; potential and existing crypto investors are always in search of digital currencies that can surpass other cryptos with features like faster processing time and cheaper transaction fees, etc. Despite Bitcoin being the world’s largest cryptocurrency by value and market cap, it has some growing concerns. Some investors, however, are ready to opt in for a cryptocurrency that can offer solutions to issues slow transactions, expensive fees, and market volatility. Bitshares is one of the many cryptocurrencies that proffer this solution. 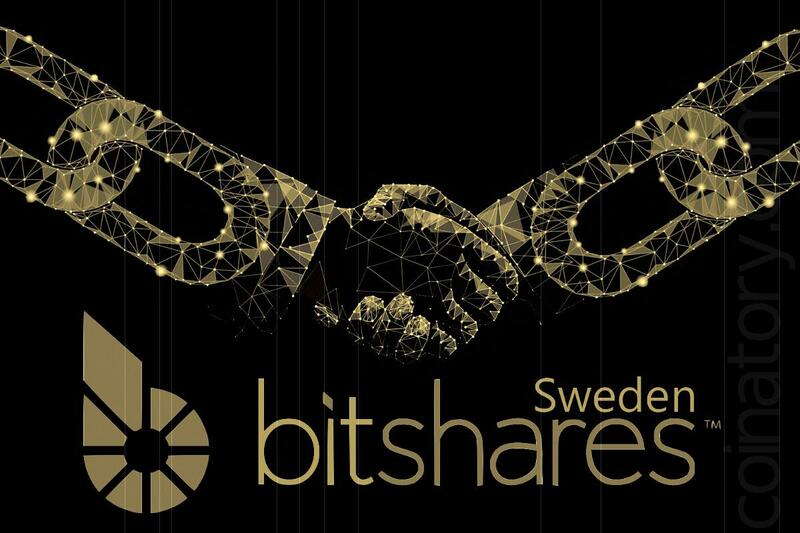 Bitshares is a decentralized peer-to-peer, crypto equity network, and blockchain that utilizes a unique algorithm called the delegated proof of stake (DPOS). Software: Bitshares is a distributed database that is managed and controlled by a set of guidelines, and also owning its cryptography. It is an open source network with easy modifications that is protected from Government regulations. Network: Bitshares is a network of computers owned by individuals to communicate while running the Bitshares software. Computers that connect to the Bitshares software keeps a copy of the entire database files, thereby making it impossible for a single computer to alter any record. Ledger: Bitshares securely and systematically keeps account of every transaction that has occurred, and also making the report readily available for anyone to see when the need arises. Transaction records stored on the Bitshare ledger cannot be manipulated. Exchange: Bitshares also permits its users to buy and sell digital currencies on its distributed ledger. Currency: It can be used as a medium of exchange or for settlement purposes from one place to another. On 2 June 2013, Dan Larimer, conceived the idea to develop a currency that doesn’t work exactly like fiat/Bitcoin. He discussed his plans with crypto enthusiast, Charles Hoskinson, the co-founder of Ethereum and Cardano. In October 2013, they both presented their theory at the Bitcoin conference in Atlanta. Larimer made a clone of Bitcoin called Protoshare (PTS) (currently Bitshares), and the first PTS block was mined on 5 November 2013. In the Protoshare system, the mining process utilized the proof of stake algorithm. On 19 July 2014, Protoshare was renamed to Bitshare with a different algorithm called the delegated proof of stake algorithm. Bitshares later upgraded to version 2.0, also known as Graphene. It is an open source C++ programming language blockchain, which acts on consensus mechanism. Bitshares opted for delegated proof of stake algorithm over Bitcoin’s proof of work. The delegated proof of stake is a modification of the proof of stake algorithm. Here, coin holders can transfer their stake to appointed witnesses, whose work is to collect transaction details, arrange them in a single block, and send it to the blockchain network. The witnesses are paid in shares from the reserve pool for their services. But, in proof of work algorithm, transactions can only be complete after miners have gathered the data that has occurred in the block for a given period and then use it to solve a complex mathematical equation, and the person that completely solves it is declared the winner and offered a price. The reason why Bitshares did not use the proof of work algorithm is that it consumes much electricity, and it requires a high performing computer to compute the equation. That means in cities where power is not stable, might pose a threat to the system. Bitshares provides a decentralized exchange for its users. With the Bitshares DEX, it helps to remove the point of failure and counterparty risk. The DEX also ensures that transaction fees are low without any trading limit which gives investors ultimate financial freedom while transacting. You cannot purchase Bitshares with fiat currency, so to own BTS coin, an investor will need to buy Ethereum from coinbase.com or cex.io. After a successful purchase, you can log on to Binance, where the Ethereum you purchased earlier can be exchanged for BTS on the Binance exchange market. At the time of writing this post, 1 BTS trades for $0.14, it has a market cap of $358M, and it currently sits on 34 of the coinmarketcap ranking. After purchasing Bitshares coins, you can store them on the official web wallet. All you need to do is to do is to create an account and import your BTS from Binance to your newly created Bitshares wallet. Bitshares has been in constant development since its launch, and it performs a lot of functions for its users.